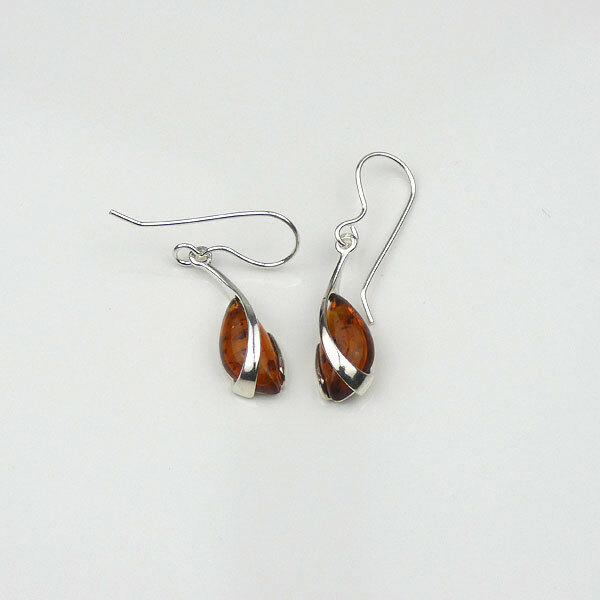 Very pretty Baltic Amber silver hook earrings, teardrop shaped. 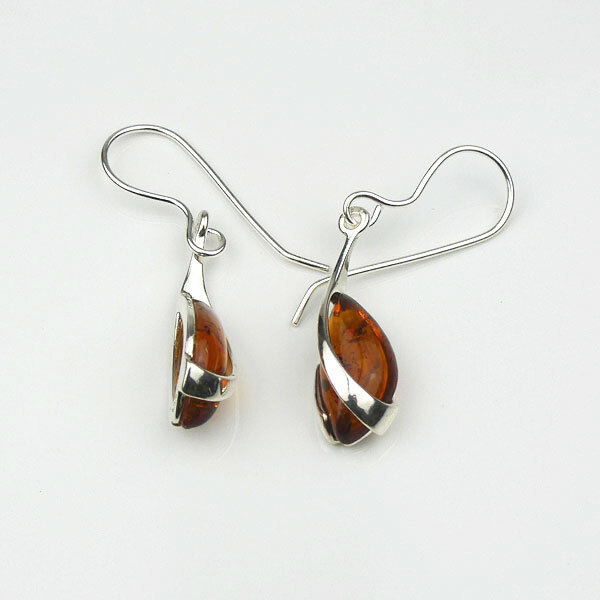 From the hook by the ear a silver strand widens to encircle the back of the Baltic Amber stone. At the front a silver strand elegantly curves from top to bottom, a shape which is echoed by an element of silver showing from one side of the earring.